Enjoy the top 1 famous quotes, sayings and quotations by Quraysh Ali Lansana & Georgia A. Popoff. “Words are power. 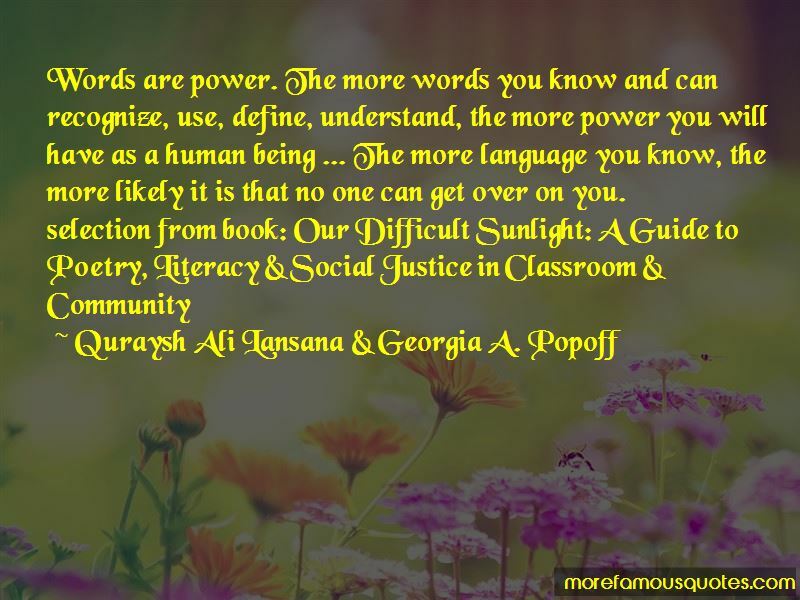 The more words you know and can recognize, use, define, understand, the more power you will have as a human being ... The more language you know, the more likely it is that no one can get over on you. Want to see more pictures of Quraysh Ali Lansana & Georgia A. Popoff quotes? Click on image of Quraysh Ali Lansana & Georgia A. Popoff quotes to view full size.